NET: Learning Through Play - I Love ABA! Natural Environment Training, or NET, is a branch on the ABA tree. NET is all about naturalistic “learning through play” or learning in the natural setting. Natural setting means that teaching isn't just occurring at a desk or table located in a therapy room, but in a variety of environments and locations. * Intrinsically motivating items and materials- Reinforcement is embedded into the task: The child learns to say "juice" and gets a sip of juice. * Teaching in natural contexts/settings- Teaching occurs in the grocery store, at the bank, during breakfast…the setting is directly related to the skill. * The child’s immediate interests- Look for “teachable moments” when the child displays interest and excitement about a particular person, item, or object. From the child’s perspective NET isn’t teaching at all…it’s just playing or interacting with the environment. One common critique against ABA is that the children don’t generalize the information they have learned, or they don’t “use” the skill. That would look something like a child who can make and hold appropriate eye contact during therapy, but on the playground at school he stares down at his shoes when speaking to peers. Parents will sometimes ask me questions about generalization such as, “When will he/she be able to perform this skill outside of the therapy room?” The simple answer to that question is that ABA cannot occur in a vacuum. If the child is only asked their telephone number while sitting at a table across from a therapist, that skill wont just magically pop-up in other places (response or stimuli generalization does sometimes occur without intentional training, but not often). Parents have a large responsibility to encourage generalization of what their child is learning during ABA therapy, as the therapists cannot be with your child 24/7. Any quality therapist should include maintenance and generalization during their therapy sessions, but are you as a parent reinforcing what your child is learning? 1. If your child can throw a ball underhand, do you practice tossing dirty clothes into the laundry basket? 2. If your child knows how to return greetings, do you ask visitors to your home to walk up to your child and say Hello? 4. If your child can count objects, do you have them count leaves at the park? A great thing I like about NET is that its so easy for parents to implement with their own children. Many parents whose children receive ABA therapy are curious about how to get involved with therapy, and how to continue teaching their children when the therapists leave. 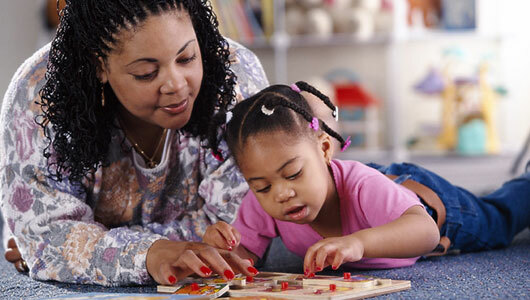 Since NET is less structured and intensive than a typical ABA session, its easy for parents to grab moments throughout the day to reinforce skills with their child. NET sessions should be noisy, boisterous, full of language, with movement all over the home/outside the home. I train so many therapists who think if they are not at the therapy table, then they must be doing NET. Simply changing location does not mean you are doing NET. See how the therapist had a full conversation with the child, even though it was one sided? That’s what NET should sound like. As the child becomes more verbal, the exchanges will become fun and lively as the child joins the conversation. NET should have a loose structure, and be driven by what the child wants to do. The therapist should prepare for an NET session but also be open to changing that plan if need be. The therapist may set up a board game in the living room to work on turn-taking during NET, but while walking to the living room the child might decide to veer into the kitchen and mand for “cookie”. Instead of forcing the child to go play the board game they clearly have no interest in at that moment, take advantage of this teachable moment. If your scheduled NET session changes before or during the activity, that’s okay! Remember, it’s about what the child wants to do. Stay flexible and think on your feet, and you'll be fine. **Quick Note: NET does require some planning and preparation, even though you are following the child's motivation. The reason why is because if the child goes into the kitchen and wants to play with spoons, do you know how to turn that into a teachable moment? What can you teach using those spoons? Write the name of the skill, such as “large peg puzzle”. Put the original date that the child mastered the skill. For the description, describe the skill in plain language so that anyone could read the card and know what to do, such as “Janice can independently complete a large peg puzzle with no more than 5 pieces”. On the back of the card, write a few brief ideas for how to teach the skill in a natural setting. The highlighters are used to color code the cards, according to domain. Puzzles are in the Visual Performance domain. So all the cards where the skill is highlighted in green are visual performance tasks. Place the cards in the box in random order, which the highlighting will help you to do quickly. When you are ready to do a NET session with the child, grab a few cards randomly, being sure to grab cards with different highlighter colors. When you finish NET and are putting the cards away, place them in the back of the file box to ensure that you are rotating through all of the cards.